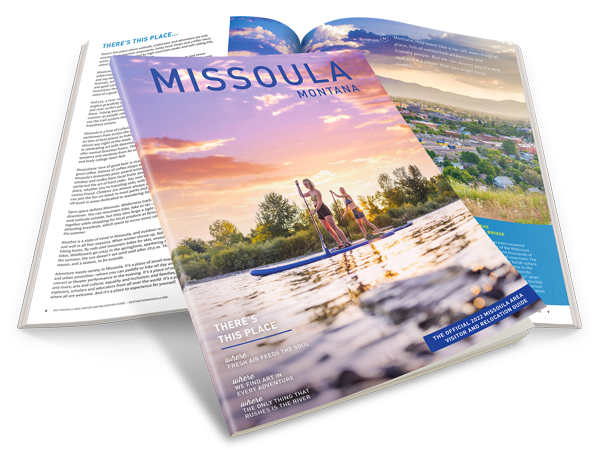 The Blackfoot Valley is just east of Missoula and is home to the famous Blackfoot River. The Blackfoot Valley is the stuff dreams are made of... fly-fishing dreams anyway. The Blackfoot River that runs through the valley was made famous by the 1976 fly-fishing novella by Norman Maclean, A River Runs Through It. The historic valley is filled with rolling hills, family owned ranches, and various river access points so you can try your luck and cast a line in the water. Western Montana’s Blackfoot River has become one of the state’s most popular and important recreational streams. Its natural setting and features and the fame gained from the movie A River Runs Through It have all contributed to its popularity. Pull off of Highway 200 to admire its beauty. Between mile markers 22 and 23 on highway 200, turn south onto Garnet Range Road. Follow the road for 11 miles to Garnet where the parking area is located. One hundred years ago, Garnet was a thriving town filled with gold miners and their families. Working hard to carve out a community in the heart of the Garnet Mountains. Garnet, a place over 1000 people called home at the end of the 18th century, is now a remnant of a time since past. Ovando is named for the first postmaster of the town, Ovando Hoyt. Just by strolling the streets you will walk through a piece of Montana history and culture. With only a population of 50 residents, Ovando provides the quiet solitude so expected on a Montana retreat. Head south on I-90 until you reach Deer Lodge. The 1500 acre Grant-Kohrs Ranch National Historic Site illustrates the development of the northern plains cattle industry from the 1850's to recent times. This was the headquarters area of one of the largest and best known 19th-century range ranches in the country. Today the ranch house, bunkhouse and outbuildings are much as they were during ranch operations from the 1860's through the 1960's. The ranch is located at 266 Warren Lane in Deer Lodge.